Thank you for visiting the Aleta website. We are a boutique fabric company specialising in limited edition, bespoke and hand produced fabrics, soft furnishings, paints and wallpapers inspired by the decorative arts and designs of 17th and 18th Century India. block printed fabrics and soft furnishings by Brigitte Singh. 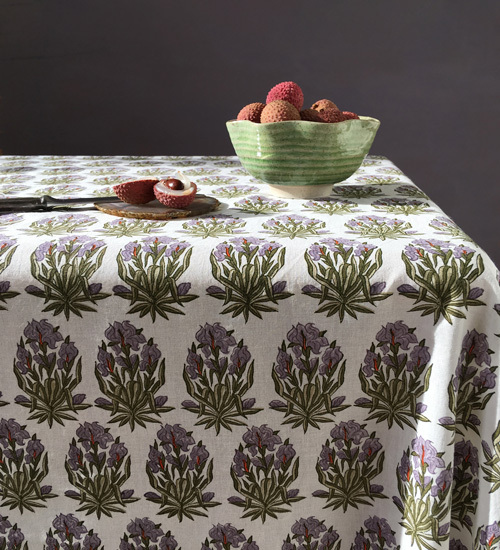 Sosan Mauve is one of five new hand block printed cottons by designer Brigitte Singh.